This week, we asked the Crossing Zebras writing staff to open up the dustiest corners of their minds and recall their experiences as new players. The past few weeks have seen significant shakeup in the part of the community focused on welcoming and embracing new members of the EVE Online community. This tumult in Brave Collective over the past two weeks gave many players reason to examine other opportunities for new players in New Eden, from old classics like EVE University, to newer ventures with backing at the highest levels – Karmafleet and Pandemic Horde, in particular. These communities are all different, both culturally and in their approach to the task of serving new players. 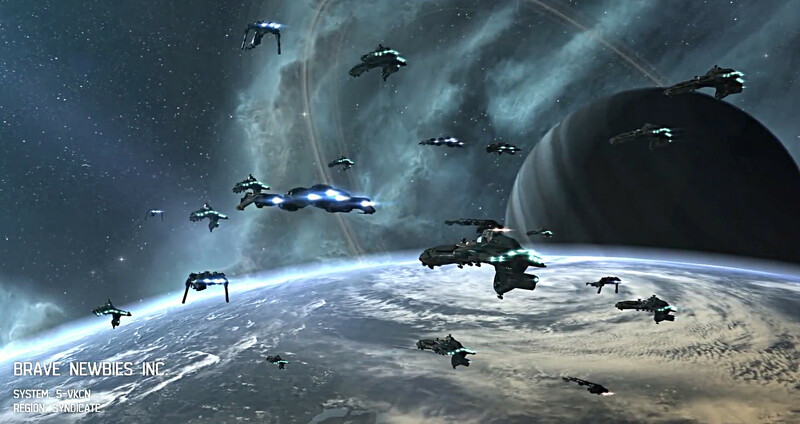 EVE University remains strictly regimented, focusing on formal teaching through classes, while Pandemic Horde has taken a “dive into the deep end” approach, providing players with top-tier mentorship and supporting infrastructure, stripping away as many barriers as possible that keep people from finding fun in New Eden. Brave Collective, too, retains its crown as largest and most successful new player organization in recent memory. Thinking back to your initial interests in EVE, where would you have gone as a new player if you were joining today? Why? Where do you think these new player groups are excelling? What blind spots should veterans most be aware of as they seek to welcome and mentor new players? Are there major areas of weakness that one or more of these groups must address going forward? Lastly, should new player groups focus on presenting a particular playstyle to new players, or focus on providing support and enabling players to explore whatever playstyle they prefer? MukkBarovian: My first memorable experience as a noobie was being lofty’d. That was a trick where one pilot would invite the victim into his fleet. He would then invite a wardecced character into the fleet after the victim had joined. This allowed the wardeccers to kill the victim. Because the wardecced character was invited to fleet after the victim, the victim would receive no notification of the wardec. Wardecs were pretty stupid back then. I was very pissed off. There was no warning such as you get when going into lowsec or taking aggression, “DOING THIS MIGHT GET YOU EXPLODED.” When I understood the mechanics involved I became convinced the game was buggy and unfair. I quit. A year later I took another swing and things were better, but that was just pure garbage. I believe the culture of scamming noobies for cheap killmails is in bad taste. Things like can flipping games with noobies are the realm of the dumbest poorest excuses for pilots. Game mechanics that get noobies exploded in highsec with no warning of danger are totally unacceptable. A more recent problem was people getting ratting fleets blown up by broadcasting for remote reps, then becoming criminals. Concord would come kill everybody in the rep/cap chain. This was a particular problem in incursion fleets. For the most part I think CCP has closed the loopholes so they don’t exist anymore. You can’t whelp a highsec ratting fleet or go can flipping in noobie systems. It is an improvement. It took CCP a stupidly long time to figure all this out. It should not have been so hard to make the game *fair* for noobies. Sure you go out of highsec and it is free for all. Take a criminal timer in highsec and bad things can happen. Carry too much isk and a suicide gank can occur. The first two cases the noobie is warned of the risk. In the case of suicide ganking, the game *should* theoretically be calibrated so that by time you have enough isk to be a potential target, you aren’t a noobie anymore. The point is noobies should be able to learn the basics of how to play before then having to deal with the PVP aspects. This game is complicated enough to learn. On another note, I like the new trend of larger groups establishing noobie friendly programs. Having organizations step up and take responsibility for the quality of life of new players is a good thing, even if the motive is to eventually end up with a contributing line member. I particularly like the fact that a noobie now has choices. There are multiple playstyles and cultures to choose from. I think that kind of freedom is very valuable. Gorski Car Let’s just say that my first 14 days in eve wasn’t the greatest. I started my first trial account back in 2004. I was only 14 back then and pretty clueless to what I was doing. Back then you got asked a bunch of questions when you created your character and well I wanted to be a leader… so I got max charisma and some corp management skills. Let’s just say that I didn’t continue playing. I started my second trial in 2009 when a real life friend and his dad convinced me to start playing with them. Me and my friend did some highsec warlording for a couple of months and while I was still totally clueless I was at least having fun in Eve. Then his dad told us about the riches and fun to be had out in 0.0 space. So I joined some minor corp in the g0dfathers alliance and went out and started belt ratting in my Arbitrator. Looking back at old loss mails etc really makes me cringe because of how bad I was back then. Anyway my real life friend decided to quit Eve and his dad went on and joined elite space alliance NC. who didn’t want a low sp belt ratting arbitrator pilot. This is when I committed my first corp theft. Now I was still clueless but I got access to their hangars and stuff. I stole around 1-2b isk (a lot back then). Now I needed a way to get isk from all that loot so what did I do? I right click sold everything and the stuff I couldn’t sell I reprocessed and right click selled out in deep 0.0. Not the smartest move. And while I did this they had my armageddon in a courier contract with 0 collateral. Let’s just say that I never saw that one again. After this I was flying around in a npc corp belt ratting in lowsec and 0.0 making basically no isk. This is when I found the corp Liquid inc. spamming the recruitment channel. I am personally a big Starcraft fan and knew about teamliquid/followed the korean proscene etc. I still remember some parts from that corp interview to join. They were out doing elite pvp and asked if I could fly a Curse and I naturally said yes despite being months away from a Curse. I spent about a month here before realizing that I wasn’t really fitting in with their high sp fleets and bigger fights. Luckily for me they had set up a training corp called the hatchery. This is where I spent the next 3 years going from a highsec warlord to a bad lowsec pvper to a professional nano drake pilot. So many great pilots came from the hatchery that I still to this day fly with and have met in real life. If I started eve today I would probably looked for a easy way and fast way into pvp. I have always been somewhat unironically elitist and I don’t really like losing. The first path I would have taken was to join RvB. I have wanted to join them for a long time but I was always locked with my friends in hatchery instead so I couldn’t. Another way I would have went is to faction warfare. I think the structure of allowing a low entry barrier way to get a decent sum of isk is great. One thing is for sure though I would never join one of the bigger groups where you are just another cog in the machinery. I personally take no joy of playing a game where I know that even if I die it won’t really make a difference. I want my pilot to be relevant in the fleets I fly in. Tarek: Back when I started there wasn’t really any organisation around that would readily accept newbies and take them right into nullsec. There were the Goons who invited newbies, but everyone told me that their recruiting of newbies was only a scam so I didn’t go for that. EVE Uni seemed too regulated on the other hand so I just stuck around in highsec where I experienced the then usual hazing at the hands of wardeccers and griefers until that small PvE and industry corp I ended up with fell apart under the pressure. I joined the wardeccers instead and, well the rest is history. Would things turn out differently if I had come in now? I very much think so. I would have seen the This is EVE trailer and thought I’d like to be with those Brave Newbies. Maybe the chaos and drama of recent times would have turned me off, maybe I would have rode it out. I could have joined Pandemic Horde instead, maybe even Kharmafleet although the reputation of the Goons is still not particularly good. There are in any case more opportunities for new players to find a place at the centre of the action than there ever have been. Most importantly there are different cultures to choose from. 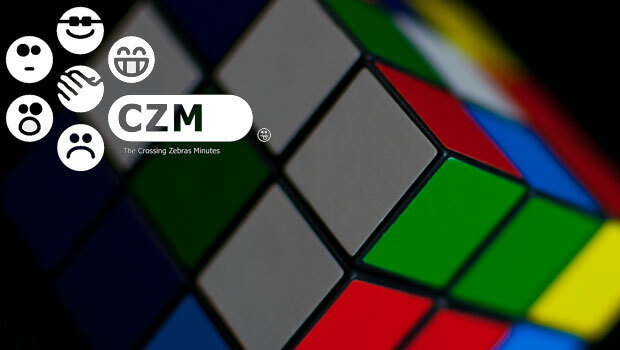 Either the reckless crazyness of BNI, the regulated environment of a CFC – oh sorry Imperium – organisation or flying under the wing of the professionals with the Horde. Even if you don’t want to get all your stuff and live in nullsec, you can stay, learn and make up your own mind with venerable EVE Uni, go for fun PvP among RvB or join up with Faction Warfare which has also become more established and accessible. The times where a new player is sort-of left alone, clueless and wide open to exploitation in EVE after the tutorial and a few missions have passed and that’s a good thing. I hope that trend continues and creates even more such newbie friendly organisations of different kinds. Apoth: My first memory was being invited into a fleet via EVE voice, where a guy who was happily telling us how to passive-aggresively placate your SO so you could get more EVE time. He wanted us all to swarm a megathron as he had seen an Iteron do in that old infamous video. From his wisdom i garnered to get anywhere in EVE I needed to train the “training skills”. Back in 2010 there were skills to enhance each of the attributes which took something like 3 months to train before you actually trained any skills. Needless to say, it wasn’t long before I stopped playing. As to the new player experience corps; the more the better. BNI is a great way for new players to get into the game, but no way should be monopolised. New players should have the opportunity to learn from and experience a huge variety of views and cultures and game styles. If everyone is taught to play with the same mindset we end up down the line worse for it, I think. Neville Smit: I was lucky. Before I first started playing EVE Online, I’d conducted a little research. I had heard that EVE was a very difficult game, but that was one of the things that drew me to it. Still, I did not want to become an instant casualty after joining, so I delayed signing up, until I ran across an article about EVE University. Now, here seemed the perfect place to learn the ropes as a new player. E-UNI was one of the reasons that I decided to actually take the plunge. I struggled through the initial tutorials (which were truly terrible back in 2009), and then applied to E-UNI. Back then, it was indeed a very regimented place, with many rules, but that was a result of the war declaration mechanics in those days. The rules enabled E-UNI to operate effectively as a neutral teaching institution. I loved it. It was the perfect place for a new player to become comfortable in New Eden. Most importantly, I bonded with some good people. Although the classes, training drills, fleet ops and special events were fun and useful, the most valuable lesson I learned at E-UNI was that friends flying together in a common cause was the most enjoyable part of EVE Online. I want to dispel a couple of misconceptions and misunderstandings about EVE University. While it was once a highly structured and regimented corp, today it is much, much different. Today, there are remarkably few rules or restrictions on member behavior. When I had first joined E-UNI, operations were limited mostly to high security space. Today, E-UNI maintains active campuses in every part of New Eden (http://wiki.eveuniversity.org/Campus_Groups): low-sec, null-sec, w-space, a dedicated mining group, an Incursion community, a base in the remote Solitude region, and the traditional high-sec headquarters in Aldrat. I’m not aware of any other institution in EVE Online – or in any other MMO, for that matter – that gives players the opportunity to learn nearly every aspect of the game, hands on. It’s an ideal place to try different kinds of playstyles, and then move on to whatever you find matches your personal preferences. Still, E-UNI is definitely more formally organized than other new player oriented groups. I think that what has made it so resilient. While I have long admired the spirit and intent of Brave Newbies, their lack of infrastructure was always a potential weakness – they don’t even have dedicated forums, as they rely mostly on Reddit for corporate communications. It seemed likely to me that their mostly informal support systems, relative to other corps, might lead to internal division and strife, and indeed, it has. This concerns me since Brave has been so successful in embracing and retaining new players. I sincerely hope they learn some lessons from their latest drama, make the necessary adjustments, and re-emerge stronger than ever. EVE Online needs multiple options to welcome and support the needs of new players. EVE University appeals to players who like a more structured and systemic approach, and who want to sample many different parts of the game. RvB is fantastic for learning, practicing and mastering essential PvP combat skills. Brave has been wonderful for allowing new players to leap in and just have fun. And other training corps like Noir Academy, Agony Unleashed, OUCH, various factional warfare corps, and many others (https://wiki.eveonline.com/en/wiki/Educational_organizations) play a critical role in helping capsuleers find more satisfaction and fun in EVE Online. We can’t have enough of these kinds of organizations in the game. I enthusiastically applaud the emergence of Pandemic Horde and Karmafleet, with their emphases on veteran mentorship. More variety in choices for helping new players to succeed can only result in retaining more of them. My worry is that these new groups may soon discover that the caretaking of noobs, while very rewarding, is also a lot of very hard work, and it takes a different kind of commitment, persistence and patience to succeed. I wish that CCP Games would get over their concerns about an appearance of “favoritism” and make more overt recommendations to join one of the training corps as part of the New Player Experience (NPE). I wrote about my personal viewpoints on improving NPE recently (http://nevillesmit.com/blog/2015/3/31/eroding-the-learning-cliff). I’m encouraged by all the good work that CCP had done to make the NPE better (http://crossingzebras.com/in-pursuit-of-new-player-happiness/), but nothing will help improve player retention more, in my opinion, than getting new players into a corp where they get the special attention and support they need. I was twice a Director of Education at E-UNI, and although I’m not currently a member of the corp today (http://wiki.eveuniversity.org/User:Neville_Smit), I still think of EVE University as my “home” in New Eden. Those first, formative days in EVE Online have a huge and lasting impact on new players’ impressions of the game and our community. I sincerely hope that we see an increasing number of high-quality options for fostering a positive impression of new players’ “homes” when they first join our beloved game. It’s an important responsibility, and critically important to the growth and development of EVE Online.